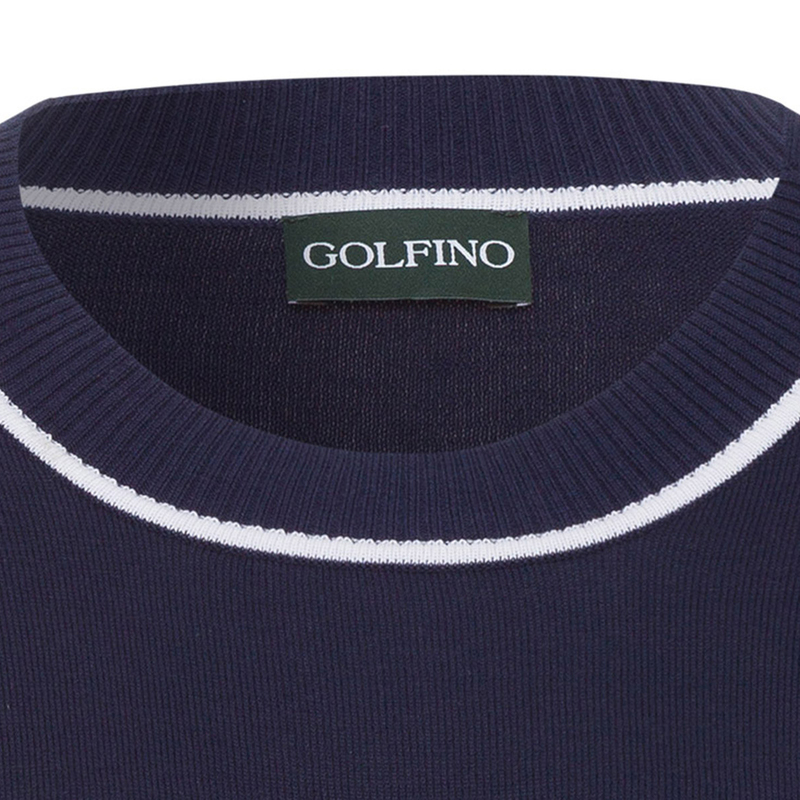 This super soft and fashionable golf sweater is warm and comfortable so you can concentrate on your golf game. 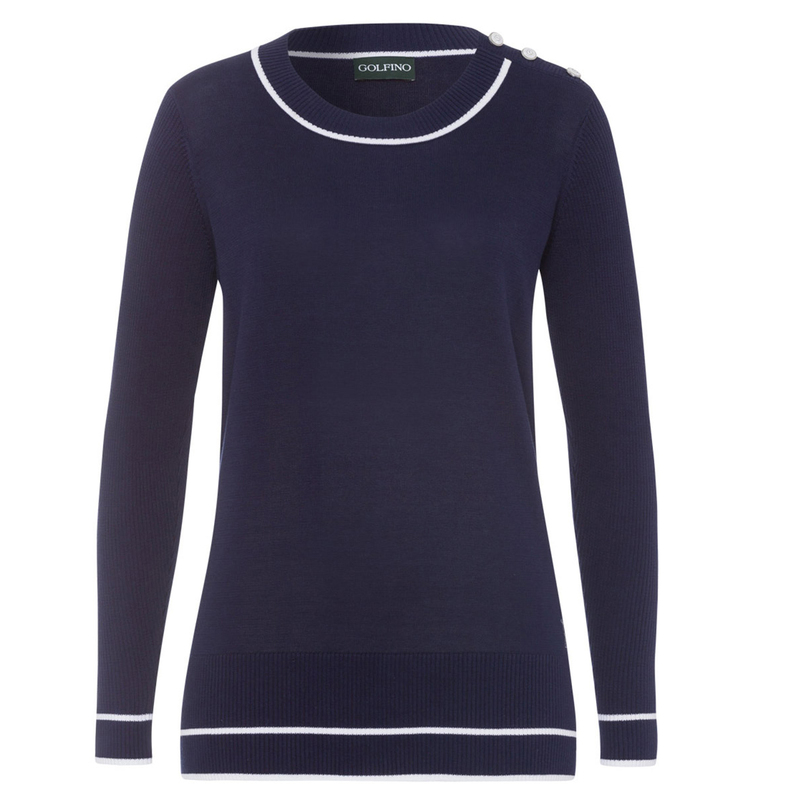 This premium quality mid-layer has been designed with a super soft cotton yarn, with ribbed sleeves and hem for increased comfort. 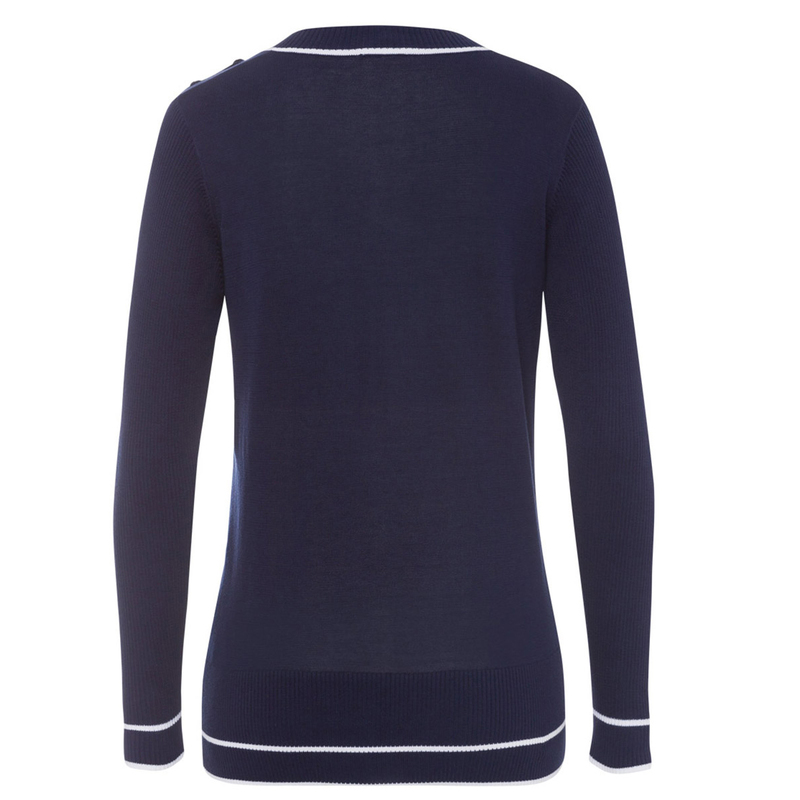 The design features a round neck opening, with contrast colour stripes, plus is highlighted with GOLFINO buttons on the shoulder. Hand wash only at 30° or less. Garment may be laundered through the use of water, detergent or soap and gentle hand manipulation.